According to the Centers for Disease Control, LGB youth are four times more likely to attempt suicide as their straight peers. In their article “Transgender Youth and Life-Threatening Behaviors” in the October 2007 issue of Suicide and Life-Threatening Behavior, Arnold H. Grossman, PhD, and Anthony R. D’Augelli, PhD, found that nearly half of transgender youth have seriously considered suicide and a quarter of them have made a suicide attempt. 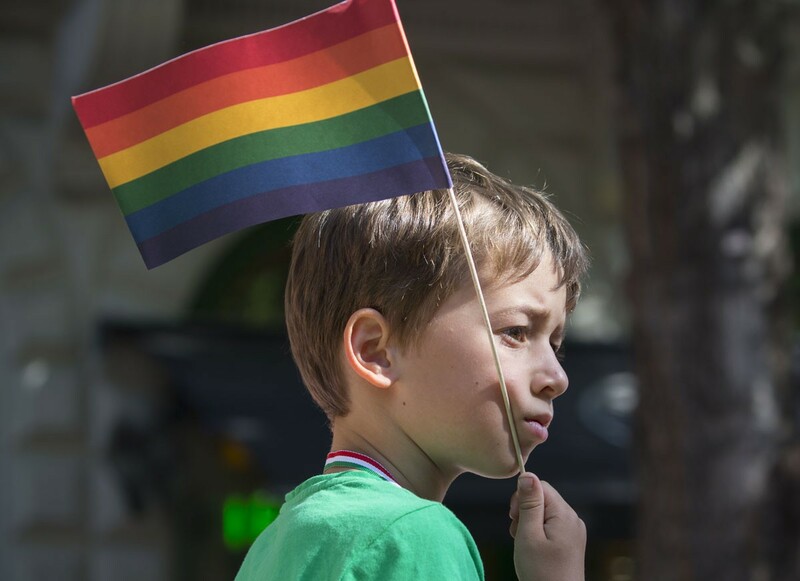 For a Solo Parent—the primary source of love, support, and guidance in a child’s life—the prospect of raising an LGBTQ child in the face of these statistics can feel particularly challenging. But here’s the good news: the number-one influence on the health and well-being of LGBTQ youth is family support. In other words, you have the power to make an extraordinarily positive impact on your LGBTQ child’s life. Despite the statistics, the Center for Disease Control reports, “Most lesbian, gay, bisexual, transgender, and questioning youth are happy and thrive during their adolescent years.” Solo Parents have uniquely close bonds with their children. That bond can become the foundation for your child’s self-love and self-esteem. When you love your LGBTQ child unconditionally; understand life from your child’s perspective; practice zero tolerance for anti-LGBTQ attitudes and behaviors in your child’s world (and in your own heart); and unequivocally support your LGBTQ child’s right to explore, express, live, and love who they are as they are, you teach your child to do the same for him- or herself. Some people believe society’s ills would be cured if we simply returned to the Leave It to Beaver ideal, emulating the traditional model of strict gender roles and heterosexual unions. But requiring someone to suppress his or her true gender identity or sexual orientation could cause harm. Asking a child to change who he or she is damages the child’s self-esteem and ultimately impacts the way the child shows up in the world. How can you succeed in school, form healthy relationships, and interact in a socially positive way when you’re continually engaged in an effort to hide who you truly are? Ultimately, your LGBTQ child does not need to change to fit into society; society needs to change. Depending on your culture, religion, and environment, it can be difficult for a Solo Parent to challenge societal (or even your own) expectations and demand acceptance for your child. But the payoff—watching your child gain confidence, develop true grit, and thrive in life—is more than worth the struggle. Parents have complex reactions to their children’s brave choice to come out as LGBTQ. Some might feel disappointed, worried, proud, confused, embarrassed, or a combination of these. No matter where you start this journey, you can learn to support your LGBTQ child. Yes, you’re a Solo Parent, but you’re not alone. For instant support, check out PFLAG (formerly Parents, Families and Friends of Lesbians and Gays). For your well-being and your child’s, begin connecting with LGBTQ allies in your family, in your community, and online. As you expand your support network, you can help your child do the same. Encourage your child to connect with youth organizations, such as Gay, Lesbian & Straight Education Network (GLSEN). Help your child find LGBTQ support groups and allies in your community. Invite your child’s LGBTQ friends into your home. Even if you’re not 100% comfortable with LGBTQ culture yourself (yet), showing your willingness to communicate with, support, and learn from your child and your child’s peers will make a strong, positive impact. When you offer a welcoming space to LGBTQ youth, you offer respite from challenges they may be facing in other areas of their lives, and you teach them what love, safety, and acceptance feel like. Every child deserves to learn in an environment free of harassment, discrimination, and violence. Organizations such as GLSEN and the Human Rights Campaign offer resources that help parents, educators, and administrators learn how to create safe learning environments for LGBTQ youth. Some organizations have even created schools that cater specifically to the needs of LGBTQ youth, like Harvey Milk High School in New York City. No matter where your child goes to school, you can have a positive impact on his or her educational experiences. As a Solo Parent, you may not have time to, for instance, spearhead an anti-bullying campaign at your child’s school. But you can keep the lines of communication open with your child, so you understand your child’s experiences on campus. You can ask your child’s teachers or administrators to communicate with you about any difficulties your child is having. When your child is facing challenges, you can help your child brainstorm solutions and support your child in implementing those solutions. And guess what? Even if your child didn’t identify as LGBTQ, you’d be doing the same thing because all kids face challenges at school and in life. As a Solo Parent, by loving and supporting your child, you will help your child develop the resilience he or she will need to thrive in all aspects of life.